When you think of a casino, your thought is almost synonymously attached to roulette. It is a game which has been around casinos for decades, and its popularity remains unquestioned to this day. None of us are really surprised. The game is simple to grasp, the payouts are fast and the atmosphere around the roulette table is unmatched. We will advise you where to play roulette online. Playing a couple of rounds for fun can let you in on the rules and general flow of gameplay, but putting real money at stake where the excitement starts brewing. With real money, the adrenaline is real because you have something to lose, but even importantly – you can come out a winner. In general, we recommend playing to have fun – above all, so make sure you look at your gaming bankroll as an entertainment budget. Without further ado, here are some of the best real money casinos around, where you can play countless roulette variations to your heart’s content. Ladbrokes is one of the most established brands in the UK gaming market. They started offering sports betting back in the XIX century. They kept up the with the competitors ever since and are still one of the leading operators for both sportsbook and casino. Ladbrokes Casino is powered by the leading provider in the industry, Playtech. That means their roulette and other games are on the highest level possible. Apart from a great quality games Ladbrokes is also offering a very nice welcome bonus for all customers coming from CasinoDeal.co.uk. You can now get a 200% bonus on your first deposit up to £600 using the link below. Coral has been making waves on the sports betting scene left, right and center. What’s more is that their casino department is equally as adequate, if not more. We were surprised to see a wide assortment of roulette, including some variations that are seldom seen. 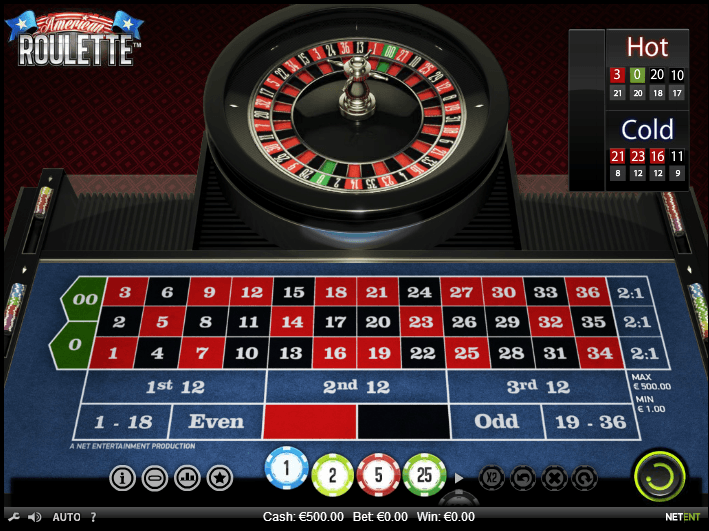 The usual cast of multiple American, European and French roulette variations are on offer as you’d expect; Pro Roulette, Multiplayer Roulette and Multi Wheel Roulette. As you explore the gaming library further, you’ll see exciting variations in way of 3D Roulette Premium, Pinball Roulette, Scratch Card Roulette and last but not least – Marvel Roulette. You rarely see a table game where a jackpot comes into play. That sort of attribute is usually reserved for slots, but with Marvel Roulette the stakes are lifted and so is the thrill of playing. Unibet is an established name in the industry, but one that often goes unmentioned. When you take a close look, you’ll see that their roulette collection is rather impressive and deserving of a mention. The casino has 21 roulette tables overall, some of which are live dealer tables. The rest is comprised of a mixture of the most common game variations, and even a French table with La Partage – a rule often dismissed from online roulette tables. Naturally, every casino wants to differentiate itself, so you’ll see things like Double Ball Roulette and Premium Roulette. What we also liked is the bet size variety; there are multiple tables coming in with as low as £0.10 in minimum bets. Paddy Power’s roulette variety won’t raise any eyebrows in itself, but the casino’s quality on the whole frequently outclasses others – a factor we must never dismiss. That is not to say Paddy Power slacks in quality in the roulette department by any means. In fact, the casino can boast of unique variations that may be suited to your liking. We are talking about the Double and Triple Bonus Spin roulette variations, as well as the Money-Back roulette and Card Roulette. Moreover, standard tables in the likes of Classic, European and French roulette are present as well. We definitely value every casino’s strive to offer various tables for players to choose from. While not many of them will prove more profitable, a decent choice at hand is always appreciated. Deposits made with e-wallets are not valid for this promo. Winnings from bonus capped at £500. Spins available after bonus is redeemed/lost. 10 per day with no wagering. Download casinos as a primary gaming option are becoming a thing of the past, in favor of instant play lobbies. Many players, especially mobile users, will skip past a casino that doesn’t offer a flash lobby. Having one or the other may divide the player base, but instant play and download as an option strikes a perfect balance. You will still find downloadable clients as an option at many top of the line casinos in the UK. This is where you can download any roulette variation a casino has on offer straight to your PC. Normally, you’d need to launch the client to play, be it for fun or real money, but it’s a natural requirement all casinos put in place. What is the best roulette to play? As noticed by what we listed above, you’ll see that many casinos boast a variety of roulette tables that range in the two digits department. Yet, when all is said and done, there are three main roulette variations that dictate the rules. More often than not, your choice will be based upon those rules. Let’s take a close look at which roulette table should you play, if you’re looking to maximize profit. American roulette still remains a very accepted roulette variation today. We can take guesses and make assumptions as to why, but it’s surely not because of its lucrative nature. In fact, American roulette is the least recommended variation to play because of two house pockets in play (0 and 00). The house edge in American roulette is 5.4%, a notable difference in comparison to European or French with a house edge of 2.7%. In American land casinos, often enough you won’t have the choice at hand, but online you can surely avoid playing this variation as a way of maximizing your returns. The game of roulette was invented in France, so it is only natural that French roulette will remain a staple variation to this day and onwards. The French roulette does not differ in mechanics to European; they both have one house pocket and 36 regular numbers. To remain in the spirit of the original, French roulette tables feature French as the written language for all features. It’s not game changing, but something to keep in mind. What’s unique about French roulette is the La Partage rule, which makes the table odds slightly more favored towards the players. Not all online variations of French roulette will feature La Partage, but it’s still favorable to play over American because of the base game odds. If you don’t speak French even in the slightest but you want the best odds around, you will play European roulette. One house pocket and 36 regular numbers make this game identical to French roulette in the base game, but European also has a unique special feature. We’re talking about the En Prison rule, which works similarly to La Partage, but just as the latter it’s not commonly widespread across European roulette tables online. The bottom line is, if you’re looking to min-max your odds and look for the best returns, you should play European or French roulette variations, while avoiding American altogether. A number of casino games, especially table games, seem simple on the surface, yet they hide a significant strategical depth to them. However, we can’t say the same for roulette. Naturally, since we’re talking about a game that’s centuries old, you’ll still see a number of different strategies roaming about. The question at hand is how viable those strategies are at bringing long term success. When examining a roulette table, we have the ball, the wheel and various bets you can place scattered across the table itself. Cold logic dictates that there’s not much you can do to manipulate the odds in your favor. In fact, there’s absolutely nothing you can do besides bank on pure luck. The strategies related to roulette are usually betting systems. That’s the Martingale, the Grand Martingale, Oscar’s Grind and many more. If you decide on looking them up, we advise you do that purely for informative purposes. These betting systems, in order to work, require a theoretically unlimited bankroll and a table without limits. They are highly volatile and dangerous for your bankroll, especially for low rollers and recreational players. If you’re looking for a table game with good odds where player skill plays a substantial factor, we suggest you take a look at Blackjack or Craps. In Blackjack, for example, you are playing against the dealer operating a deck or a few decks of cards. The cards have limited possibilities, and you are playing on almost completely even grounds. Moreover, the game conditions make room for a number of working strategies to appear and have an impact on your returns.